A couple of weekends ago I had the treat to spend a few hours in the West End, alone. Well, obviously there were other people around (although it was so early on Saturday morning that it wasn't that busy.) But importantly there was no little person to dictate how long I was able to shop or linger. Heaven! I was actually buying supplies for This is Wiss production, but I slipped in a little shoe shopping too, as you do. 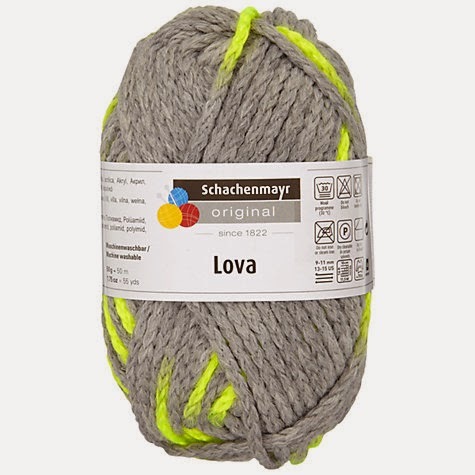 Anyway, when I was in John Lewis haberdashery department I saw this yarn and I knew I had to buy it. 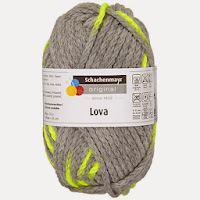 I haven't knitted anything for over a year, and to be honest my 'To Do' list is busy enough without adding new projects but I just loved the grey and the neon pops, so I bought it. 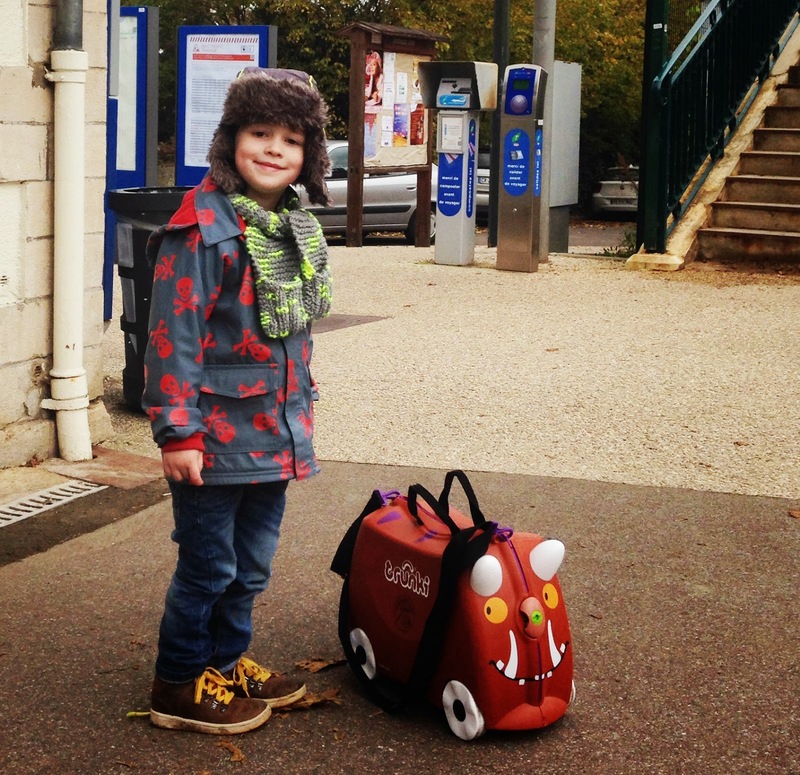 Wiss and I had a trip to visit my oldest school friend in Paris this weekend so actually I was able to find lots of time for knitting - on the Eurostar, on the train, in the evenings when the kids were in bed, even just over coffee! It seems that knitting is considered pretty unusual in France and we attracted some funny looks but I managed to finish a scarf for Wiss in two days. This wool is super-chunky so I only had to cast on 14 stitches. I wanted to make some little 'pockets' at the end of the scarf to keep Wiss's hands warm when he doesn't have his mittens on. Which is most of the time! The pockets are a 2 stitch rib for 16 rows, then simply garter stitch for as much as possible, before repeating the ribbing for the other pocket. This is not a real pattern, I completely winged it, and ideally I'd like it to be a bit longer, but I only bought 2 balls of yarn. Perhaps it would work better as a wrap over scarf rather than being tied? Wiss has agreed to wear it (bonus) and I found a hat from Hennes with neon piping on it too. So winter, we are ready for you! I'm itching to get something else on my needles now - I'd forgotten what a great activity it is for when you're on the move, or how perfect it is for cosying up on the sofa. But what to knit??? Any ideas gratefully received!